A stormy season always has the signature of unrest, uncertainty, loss, a surge of unpleasant circumstance, a crisis, the list continues. There is the pre storm and the post storm effects. Both are unsettling experiences for the human mind, soul and body. Some of the stormy seasons in life are characterised by lack, wars, injustice, deadly addictions, separation, abandonment, betrayal, slander, false accusation loss or pain. In life, we will all at one stage experience one of these; how do we overcome? As you embark on this journey the Holy Spirit will reveal the keys to staying calm in the storms of life. Scientists describe light as a radiant energy that is visible to the human eye. Light is responsible for the sense of light. Some of the common attributes of light include intensity, frequency, propagation direction, polarisation and speed. It’s no wonder when the Lord spoke in Genesis 1:3 “Let there be light”, there was a speedy transformation of darkness and confusion. Jesus is the light of the world and whoever comes to him will never walk in darkened. Remember our Lord is compassionate and merciful; He desires that all mankind is saved from misery, darkness and bitterness. 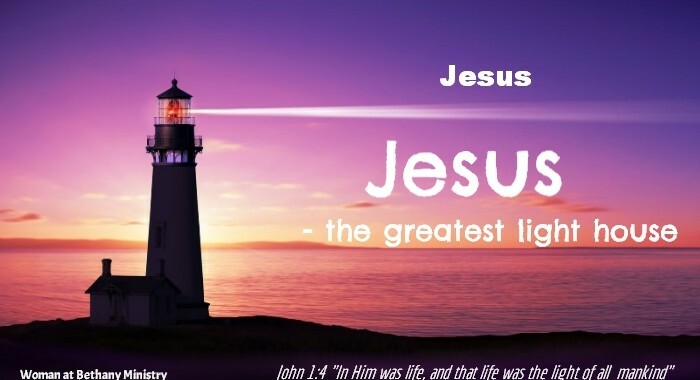 Jesus is the greatest light house; He is ready to immerse us in His light forever.